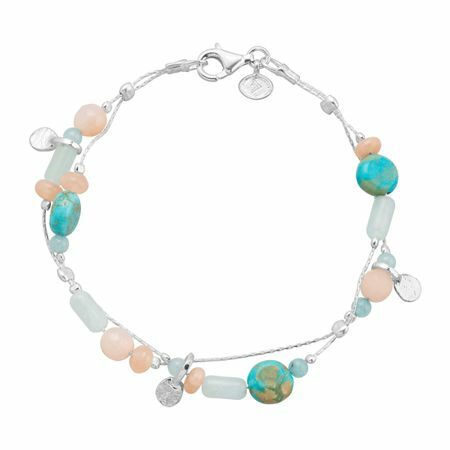 Get lost in a daydream with the pretty pastels and bold hues of this two-strand bracelet. Agates, jades, howlites, and moonstones make the perfect set of stones to complement bright sterling silver chains. Bracelet measures 7 1/2 inches in length and features a lobster clasp. Piece comes with a ".925" sterling silver stamp as a symbol of guaranteed product quality.